The marquee ACC series of the weekend pits No. 20 North Carolina against No. 13 Louisville at Jim Patterson Stadium — the only Top 25 matchup of the conference’s first weekend. The Tar Heels will be without preseason All-America ace Gianluca Dalatri for the second straight weekend; he’s out with what coach Mike Fox called “a mild stress reaction.” Fox said there is no currently timetable for his return. 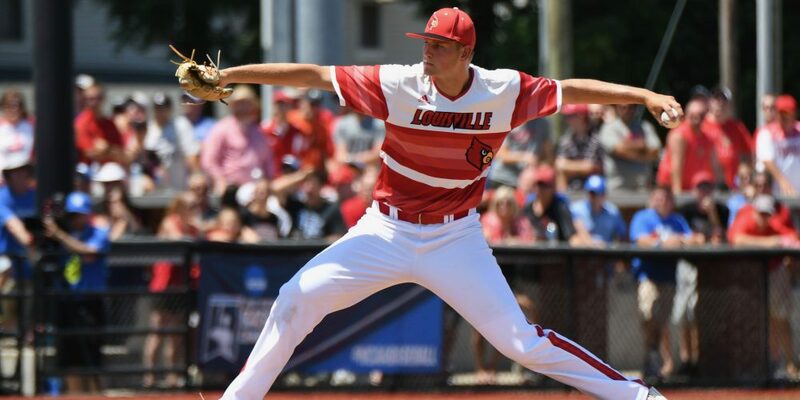 Talented righthander Tyler Baum moved up to the Friday spot last week and thrived; he’ll match up with Louisville lefty Adam Wolf in an intriguing Friday night matchup between potential top-five-rounds prospects. Wolf has made a seamless transition from key setup man last year to Friday ace this year, going 3-0, 2.00 with 20 strikeouts and three walks in 18 innings. Louisville’s rotation seemed wide open in the fall after the Cardinals lost Brendan McKay and Kade McClure, but coach Dan McDonnell predicted big things for him 6-foot-6 during the preseason.